The Dark Net is not a separate realm, but one that stretches from popular social media sites to the most secretive corners of the deep web. It is a world that is rarely out of the news but one that is little understood - and almost never explored. 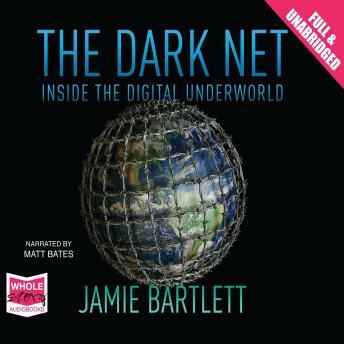 In The Dark Net, Jamie Bartlett presents a revelatory portrait of the internet's strangest subcultures: of trolls, drug dealers, hackers and political extremists. Based on extensive first-hand experience and exclusive interviews The Dark Net offers a startling glimpse of human nature under the conditions of freedom and anonymity.